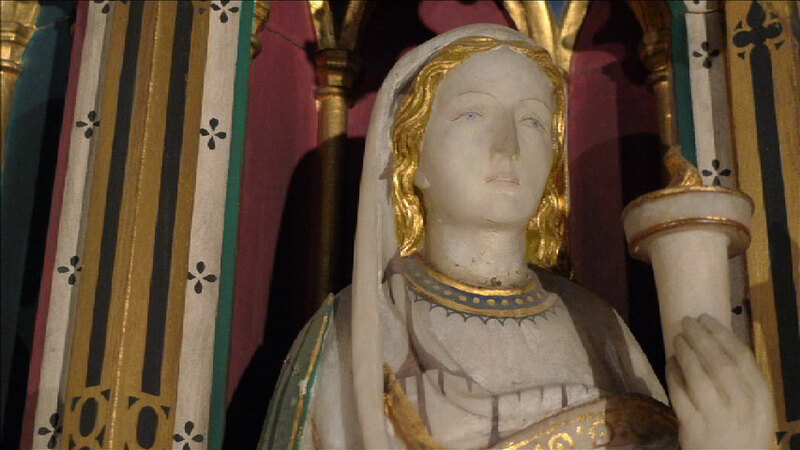 Beginning with images of artificial faces within the church—stained glass, sculptures and painted images—the film then opens up to the people of Emmanuel Church and the values that they share. 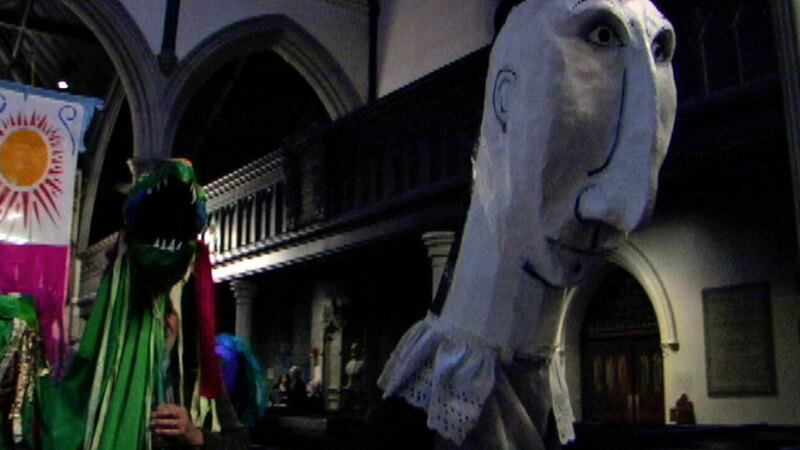 Puppets in a procession through the church. Emmanuel houses the Boston Puppeteers’ Collaborative and a puppet lending library. Performing service work with a group from Emmanuel Church, a young woman paints at St. Mark’s Church in Dorchester.